The talk will be conducted by David Almendral and Tobias Bernardo of Light’N Up Mktg, who distributes Zoot and 2XU here in the Philippines. Both David and Tobias is well versed when it comes to compression technology (both are runners and triathletes as well). 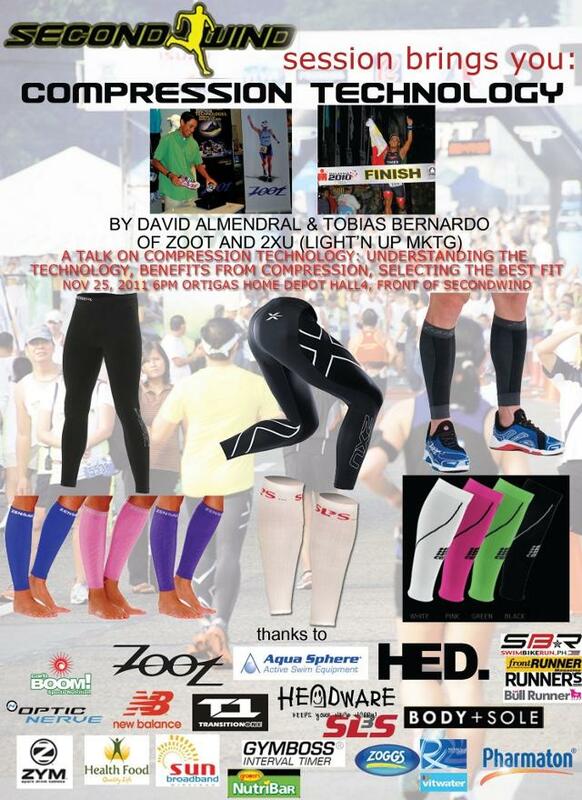 They have worked closely with point persons from Zoot and 2XU, they know their products inside and out! And much like all of the previous talks of SecondWind, registration is FREE!